Thanks to the Planet X Facebook page, we’ve received new test shot images of their third party figure Vulcan! Vulcan is designed to fit in with your War For Cybertron / Fall Of Cybertron collection and this figure is a newly designed Grimlock homage. 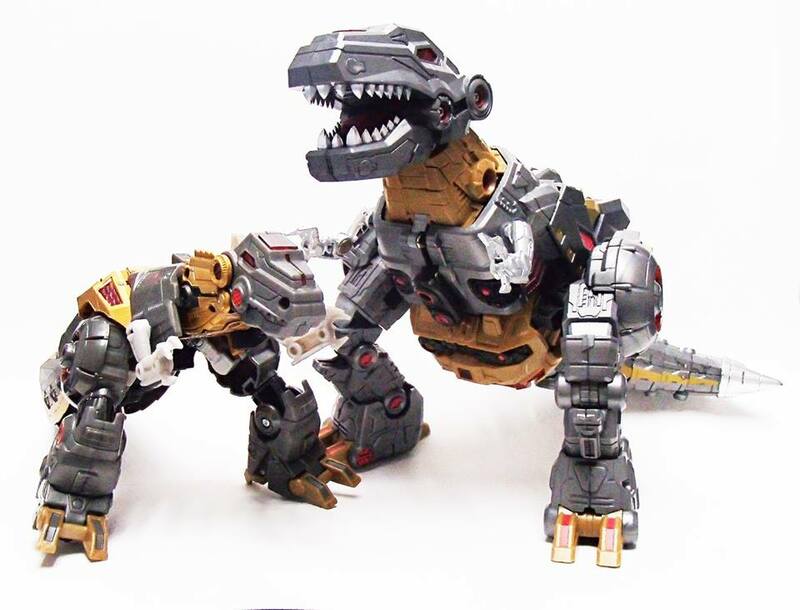 Compared with the Hasbro FOC Grimlock, Vulcan stands noticeably taller and is bulkier in general, both in robot and dino mode. Vulcan is due to hit retailers either in December of 2015 or in early January 2016. Check out the new images after the jump. I see preorders up for almost all of the dinobots from PX. Some are supposed to release this and next month. Anyone know if this is true? Was the Planet X blue WFC Omega Supreme from something WFC related? I don't recall. Not related to HMS WfC at all as the Omega Sentinels were never part of that timeline (or at least no mention of them anywhere in the HMS games). 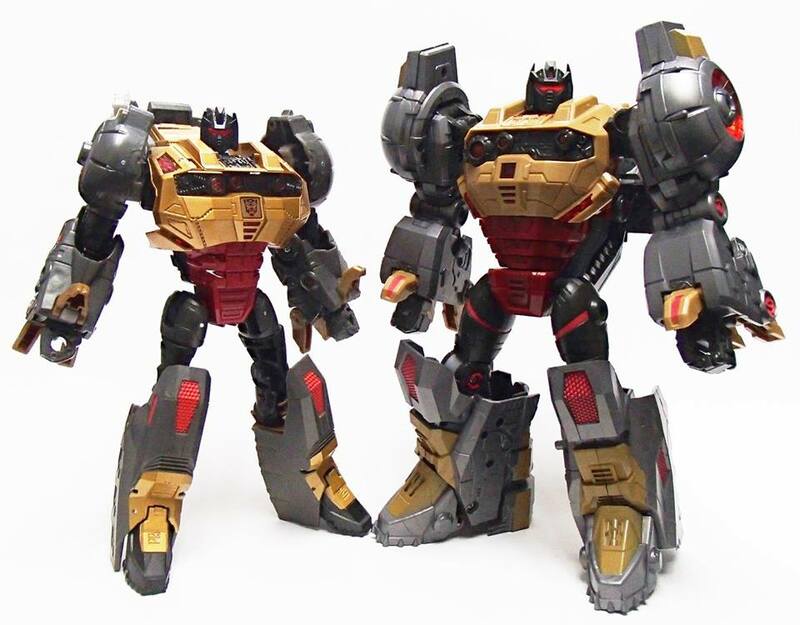 I mean, that was my response to the Hephaestus repaint, so.. I'll save money I guess. 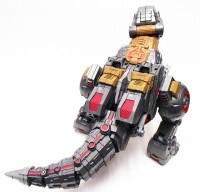 Speaking of, can you ask if they would consider a G2 blue Grimlock? I didn't even know about this deco until Planet X released it. G2 blue would be more popular, I'd wager. I just want an updated G2 Grimlock. I almost bit on Fanstoys version. I’d be really sweet if they did the whole team in metallic. That way we can have a G1 accurate colors team with the original versions, and a FoC accurate colors team with the metallics. Not until they do the blue G2 color scheme. I mean, they even did a red one ffs. 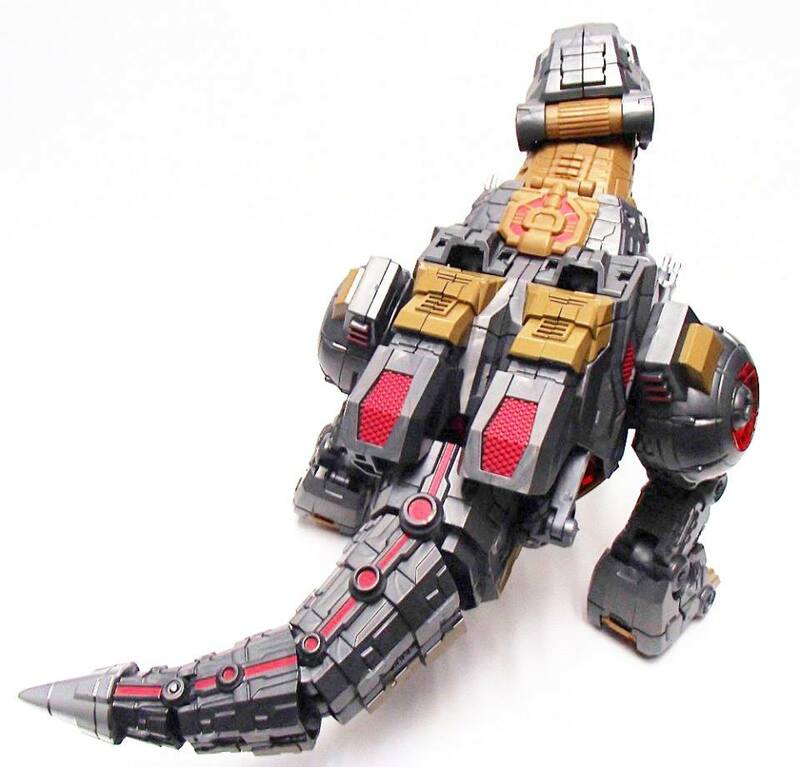 Wow…they're really pimping Grimlock out. Odd. They mentioned nothing about Grimmy re-issue when I spoke to them last night/this morning, and I even inquired about the other dinobots. I have one en-route to me through Robot Kingdom. Should be here in the next day or two. I know that’s always an option but I’d much rather have the original non-metallic version. Pre-orders for normal and metallic reissues up at BBTS. 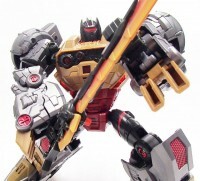 I’m so ready for my Grimlock to get here from Robot Kingdom that I’ve been checking USPS tracking constantly. It showed up at the processing facility in LA on Sunday morning but either the tracking hasn’t been updated or it hasn’t moved yet because I haven’t seen anything new on it’s tracking status. Maybe it wasn't posted on their FB yet? 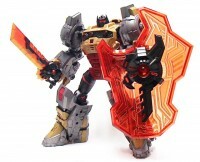 On their WB page it's stated PX-06C is being reissued and preorders up. Well this is EXCELLENT news!! Maybe it wasn't posted on their FB yet? On their WB page it's stated PX06C is being reissued and preorders up. 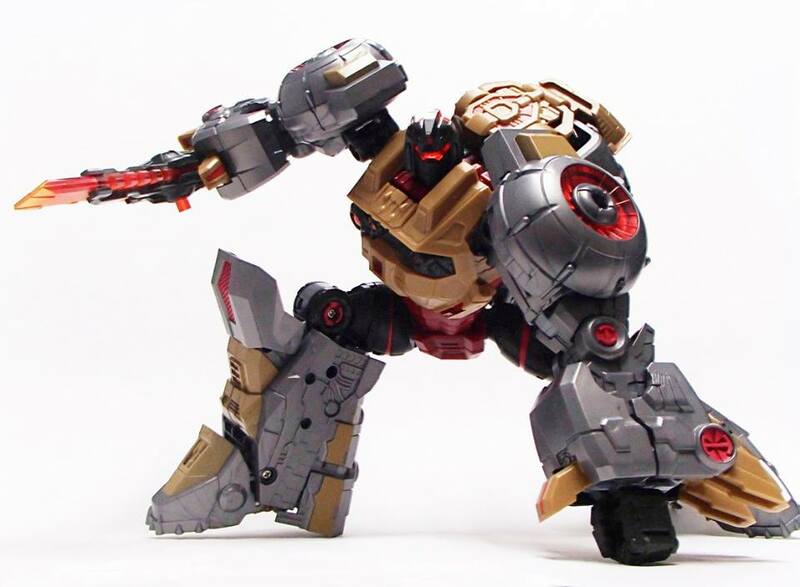 Technically he isn't a new new metallic dinobot perhaps? 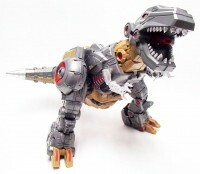 Hope they continue with the other 3 guys so we can finally own PX dinobots. Plus the metallics are cooler to boot! 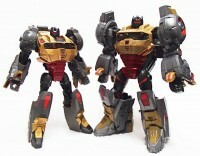 Metallic Grimlock will be reissued around the same time as the newly announced metallic Swoop.